I recently got asked about tipping in India. Here’s the actually question. I found your website on line…thank you so much for all your honest and easy information. I am going to India at the end of this month and will stay for 2 weeks at an ashram and am then traveling around for 11 days with a tour company called India by Car. My question for you is what is traditional and acceptable tipping in India…for example, at hotels, for the company driver, the cab driver etc. I want to be respectful but not flashy. Do you have any suggestions as to day tips for the driver or at the hotel? Is it a day trip or a percentage? How is it best to figure out a fair tip? People who serve you expect tips in India. In fact, tipping in India is normal and expected by the driers, waiters, porters, bell boys, cleaners etc. Tips in India are called “baksheesh”. I personally believe that tipping has always been a part of Indian culture – we expect to receive tips and give tips. If you are a tourist from Europe and USA then you are expected to give generous tips. Indians tourists also give tips but are generally stingier. Here’s my guide to giving tips in India. Stick to 10% rule for tipping at restaurants in India. I don’t like tipping at restaurants. Not only you have to pay for the food and then you have to pay a tip as well – doesn’t feel right to me. In addition, who knows where the tips go? But out of courtesy, I do dish out a few Rupees for those are serving me. Here’s my guide on tipping at Indian restaurants. If I am in an average restaurant then I usually tip around Rs 50. But the thing is being Indian; I can get away with that. If you’re a foreign tourist then the waiters are going to expect a bit more than that. I suggest you stick at Rs 100 which would be around 1 British pound or around 1.7 American dollars. Let’s say you get a bill of Rs 1000 then in my opinion Rs 100 is a decent enough tip. If you are in an expensive hotel, then you will perhaps have to tip more. But all in you can stick with the usual 10% rule. In one restaurant in Paharganj area of Delhi, I didn’t like the food that much and the service was way too slow so I tipped the man who served me (looked like the manager) a mere Rs 10. In some restaurants, waiters are very nice and do a good job and I do tip them generously. Some restaurants in Delhi and Mumbai charge something called a ‘service charge’ of around 15% to 20% which is a government levied tax. It’s a rip-off if you ask me. So if you see something like that on the bill then no tip is expected. The general rule in my opinion is about 10% of the total bill is ideal. But there is no hard and fast rule; you can give whatever you feel like. If you don’t like the food, or if the service is slow and the staffs are not polite – don’t give them much, they don’t deserve it. Tipping the bell boy for room service. I ordered my dinner and tipped the bell boy around Rs 20 for bringing the food to my room. Tipping in hotels is the most confusing of them all. Many a times it’s “to give or not to give” kind of situation. Most of the tipping here will be for the bell boys who will do the room service for you and those who are carrying your luggage. The tip here will depend if you are going to be ordering room service during your stay and the type of hotel you are staying in. Let’s assume you are staying in a hotel in Delhi with a tariff of up to Rs 4000 per night, then in this case you can tip around Rs 10-30 per small little tasks. (Mind you, they will be lucky if I tip them more than Rs 20 for every job they do for me but that’s me). Similarly for those bringing tea in your room, you can tip around Rs 10/20 which is more than enough. If you are staying in slightly more expensive hotels up to Rs 10,000 per night, then again expect to tip around Rs 30-50 for every small job. Let’s says you order dinner and the room service boy bring the food in for you in the room, so the tip here could be around Rs 20 to Rs 30 and Rs 30-50 for the lower budget and higher budget hotels respectively. Those helping you bring your luggage to your rooms are expected to be tipped. I prefer to tip these boys because they are the ones who actually deserve a bit of money after the hard work they have do for you. I would tip around Rs 10-20 per suitcase. So let’s say the bell boy carries around 3 suitcases to and from your room then do tip them around 50 to 60 Rupees. If there are two bell boys doing the task then tip them individually depending on how many they have carried. Now don’t go around tipping every time anyone comes up to you. Many hotels don’t expect you tip all the time to their staff. So when you leave then tip those around you. No need to tip guides doing group tours. Can you see me in the picture? Many tourists books holidays where the guides are pre-booked. This means that you don’t have to pay them anything. But I usually tip around additional Rs 100 if it’s a pre-paid guided tour and if they have already been paid. You could tip up to Rs 200 if you feel like. If it’s a guided group tour then don’t give anything. If you get a taxi or an auto on the road then there is no need tip them. No “keep the change” kind of stuff. I usually take all my change unless it’s a mere 1 or 2 Rupees. But if you book a taxi from the hotel for the whole day and you have already paid for it at the hotel then a tip of Rs 100 to Rs 200 to the driver is more than enough – that is if you want to. I tip around Rs 100. Take your drink and enjoy. No need to tip at the bar. Me in a bar during Christmas time. We don’t tip hairdressers in India. The fees include everything. It you happen to be in a bar in India then there no need to tip the bar tender like you do in the USA. But all in all, don’t worry too much about the percentages. I usually give Rs 100 to guides and day-drivers. But they expect more from foreigners so I suggest you stick with my recommendations. But don’t flash money around. The more you give, the more will be expected from you. But be human and generous, the people who are serving us deserves the most but sadly they get the least. The money makers are the hotels and the travel agencies so do think about those who are serving you, a few dollars to them will earn you good karma. 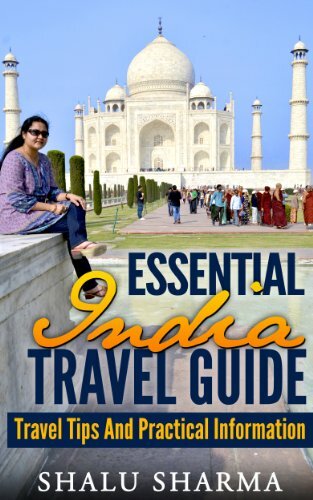 I hope my tipping in India guide will be useful for your trips in India and if you had any further questions on tipping feel free to ask me a question below. Yes, as much as I hate tipping in so many places, ones expected to do it as its become second nature to our country and people expect it – more so from foreigners. Some of them are very generous and will give large amounts, so the person on the other side starts asking for more – so just be careful there. There isn’t any hard and fast rule, though we generally follow the simple rule that if we eat in a place where the rates are high, we pay a little more than in simple hotels, where you can get away paying less. For the guided tours, sometimes even those guides take money on the quiet, even if you have paid for it, and we once complained of this issue too – some people are like that. Tipping in India is a fact of life whether we like it or not. You are right, there is no hard or fast rule and you give what you want. It all depends where you are staying and eating. Hi Shalu: You are right, Tipping in India is a complicated matter, more so because you don’t know if the money will reach the right person or not. It becomes even more complicated when you pay by Credit Card, as I am not sure if the management passes the money to the service staff or not. So even if I pay my bill by credit card I tip always in Cash. This helps in making sure the guys get the money. It certainly is a complicated matter. You are so right about using credit cards and that is when you have to decided what to do. You do the right thing when paying by credit card, a Rupees must be given. You came up with a really nice topic. Tipping in India has become a sideline free way to earn money, specially when the person in front is not from India. The post is definitely going to help many foreigners coming to India. Tips are big business, a habbit more or less if you ask me but at the end of the day some do deserve it. Thank you for your comment. We don’t really tip at restaurants as our budget is so tight, but when the staff are amazing and we really enjoy the food, we leave some change on the table. Hope to make it to India soon to dig into a curry or samosas. Tipping is a choice and if you don’t want to then you are very entitled to do just that. I do hope to read posts on India. Can’t wait. I have rarely had my first few meals anywhere outside the US alone. I always ask from my hosts/colleagues what the custom or norms are. 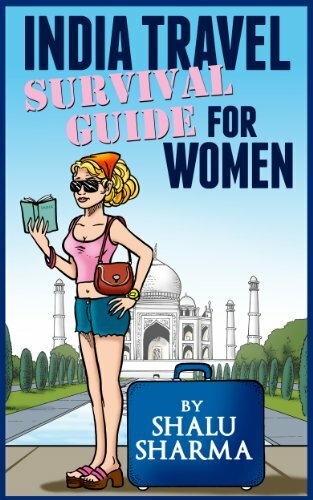 Great guide- I\’ve been here (India) over a year and still am not sure what to tip! Yesterday I got my eyebrows threaded for 20 rs but no one had change, so she got a 80 rs tip! In my mind 100 rs for threading was still a good deal, but tipping is hard to figure out here. I wasn\’t sure about street food and usually that is when I do not tip. It certainly is hard to figure out. You don’t need to tip when you buy street food. Thanks for your comment and hope to see you again. This firts time for me to visit this site. Let me say that it’s nice site. What a nice post about tipping in India. I think it would be very useful specially for foreign tourists who don’t know what and how much to tip where. You are very right on foreign tourists, many if not most don’t know how much to tip in India. One more tip on tips – some of the bills have service charge included in the bill itself. This usually indicates that you need not pay extra for tipping the waiters. I think I mentioned service charge. You are very right, as long as the tips are used for meaningful purposes than its fine, but if its used for smoking and drinking then its not right. Thank you Jasmine for your comment. Not at all. Indians too give generous give tips. In fact, the Indians are kind hearted people and the give donations and tips as much as any other country of the world. Good Tips, Sometime tips in hotels and restaurants make trouble for people who didn’t know about it! Most of Indians in small towns didn’t give tips to any waiters. But they expect from foreigners. Very nice and interesting post about India ! This is something true about India ! What an interesting post about tipping in India! Here in the U.S. We tip for just about everything…at least I do! Wherever I go, if the service is good, I do leave a good tip. Especially in Restaurants and Hairdressers. I guess I want them to remember me for better service next time I visit. Thanks for the information and the lovely pictures. Hi Donna, I didn’t know that you had to tip for everything in the USA. Restaurants I can understand but not hairdressers. Thanks for your comment and hope to see you again. When it comes to the best blog concerning traveling, the Shalu Sharma can’t be in any way be left out. This was an interesting Madam Shalu. Please keep on doing what you do best. Glad you liked it. Thank you for your comment Emmanuel. Thanks for the tipping guide. I’d been to India, and indeed, I found it hard to know how much to tip the service people I’d met. Understanding tips is certainly very hard to understand. Hope it helps. Thank you. i hope someday go to India, the culture of this country not different with my country. Very informative piece, and very helpful since tipping culture varies wildly all over the world! I will definitely keep what you’ve written in mind for when I eventually go to India. Very unique article.I think giving tips has actually gained lot of popularity in India these days. It was not so popular except in restaurant..bt now people give from their side itself, if they feel pleased from someone’s behavior. I agree tipping is complecated in india. But what we can do ??? Great post. This article opened my eyes to the way you can survive those stares from the hotel boysI so hate to see. Thanks. 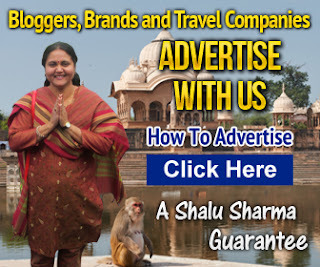 Shalusharma provide very useful and awesome information about travel India. I regularly visited for some great tips to update our website. Hi! I am currently in India. How much do you suggest I tip each day to Driver with car? What about a guide that we have each day? How about hotel staff, other than the ones you mentioned? Should I give a lump amount to front desk to spread out among the people? What do you suggest for that? What do I tip say for a pre arranged excursion (such as an elephant ride dinner)? Do I tip the waiters there and also the person on the elephant? You can tip around Rs 50-100 to the driver. And you should tip the room guys at the end of the stay when leaving. You can tip each time a few Rupees if you like. No need to tip others like rides,etc. ok, this seems quite interesting, .. Typically a waiter in a restaurant is poorly paid and works for long anti social hours which may mean that he or she struggles to spend time with their family or support them financially the way that they would wish. If you cannot afford to tip a waiter, then a smile and a thank you is good. However, if a smile, a thank you and a small tip is better. Nice post about tipping in India. Once in a foreign land, our taste and craving for Indian food is qualifying as a benchmark for our selecting the restaurants and places where we would like to go. If you are in London, then simply do not forget to check out the restaurant in Crawley. This restaurant provides the best Indian flavors for the very reasonable rates. Then try out this cuisine. I have been there myself and the experience was amazing. I love that word “baksheesh” . For some reason it reminds me of an English phrase, “backhander”! Of course we tip here in Scotland too, from everything to hairdressers, waiting staff, taxi drivers etc. 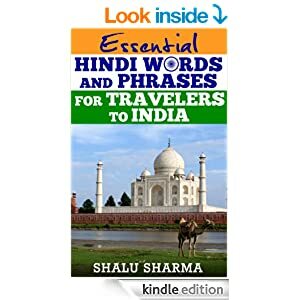 Thank you for the tips (no pun intended) Shalu as I am visiting Delhi, Shimla and Agra in a few months and really needed advice about tipping.